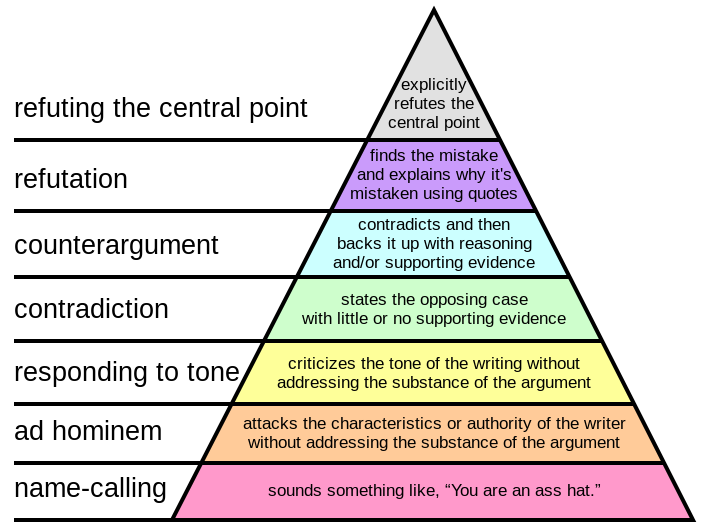 Paul Graham has a hierarchy of disagreement. He’s obviously spent his fair share of time watching debates unfold on internet forums, and has categorised the quality of points people make. At the bottom are distraction and name calling. To get to the top you need to identify and refute the central point. Obviously we should aim to produce disagreements from the top of the hierarchy if we want to have a productive debate. 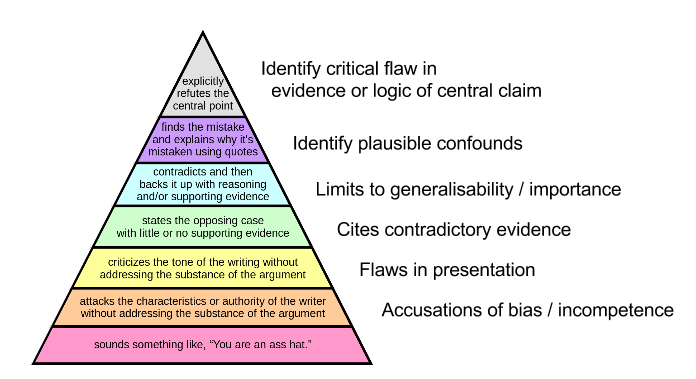 I think some students would find it useful to have a ‘hierarchy of critique’ to identify the most valuable points to make in an essay. I’ve written before about how to criticise a psychology study. The essential idea is the same as Graham’s: not all criticisms are equal – there are more and less interesting flaws in a study which you can point out. In brief, like the top levels of Graham’s hierarchy, the best criticisms of a study engage with the propositions that the study authors are trying to establish. Every study will have flaws, but the critical flaws are the ones which break the links between what the experiment shows and what the author’s are trying to claim based on it. The exact contents aren’t as important as the fact that there is a hierarchy, and we should always be asking ourselves how high up the hierarchy the point we’re trying to make is. 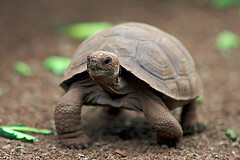 If it is near the bottom, maybe there are better criticisms to spent time and words on. For more on this, read my: what it means to be critical of a psychology study or watch this video I made saying the same thing. Understanding statistical power is essential if you want to avoid wasting your time in psychology. The power of an experiment is its sensitivity – the likelihood that, if the effect tested for is real, your experiment will be able to detect it. Statistical power is determined by the type of statistical test you are doing, the number of people you test and the effect size. The effect size is, in turn, determined by the reliability of the thing you are measuring, and how much it is pushed around by whatever you are manipulating. 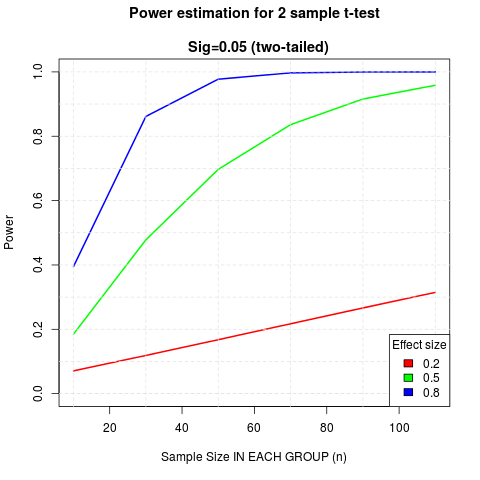 Since it is a common test, I’ve been doing a power analysis for a two-sample (two-sided) t-test, for small, medium and large effects (as conventionally defined). The results should worry you. This graph shows you how many people you need in each group for your test to have 80% power (a standard desirable level of power – meaning that if your effect is real you’ve an 80% chance of detecting it). for small effects, the sample required for 80% is around 400 in each group (total n = 800). What this means is that if you don’t have a large effect, studies with between groups analysis and an n of less than 60 aren’t worth running. Even if you are studying a real phenomenon you aren’t using a statistical lens with enough sensitivity to be able to tell. You’ll get to the end and won’t know if the phenomenon you are looking for isn’t real or if you just got unlucky with who you tested. Technical note: I did this cribbing code from Rob Kabacoff’s helpful page on power analysis. Code for the graph shown here is here. I use and recommend Rstudio. Just out in Research in Learning Technology, is our paper Students’ engagement with a collaborative wiki tool predicts enhanced written exam performance. This is an observational study which tries to answer the question of how students on my undergraduate cognitive psychology course can improve their grades. One of the great misconceptions about sudying is that you just need to learn the material. Courses and exams which encourage regurgitation don’t help. In fact, as well as memorising content, you also need to understand it and reflect that understanding in writing. That is what the exam tests (and what an undergraduate education should test, in my opinion). A few years ago I realised, marking exams, that many students weren’t fulfilling their potential to understand and explain, and were relying too much on simply recalling the lecture and textbook content. Each year I cleared the wiki and encouraged the people who took the course to read, write and edit using the wiki. I also kept a record of who edited the wiki, and their final exam scores. The paper uses this data to show that people who made more edits to the wiki scored more highly on the exam. The obvious confound is that people who score more highly on exams will also be the ones who edit the wiki more. We tried to account for this statistically by including students’ scores on their other psychology exams in our analysis. 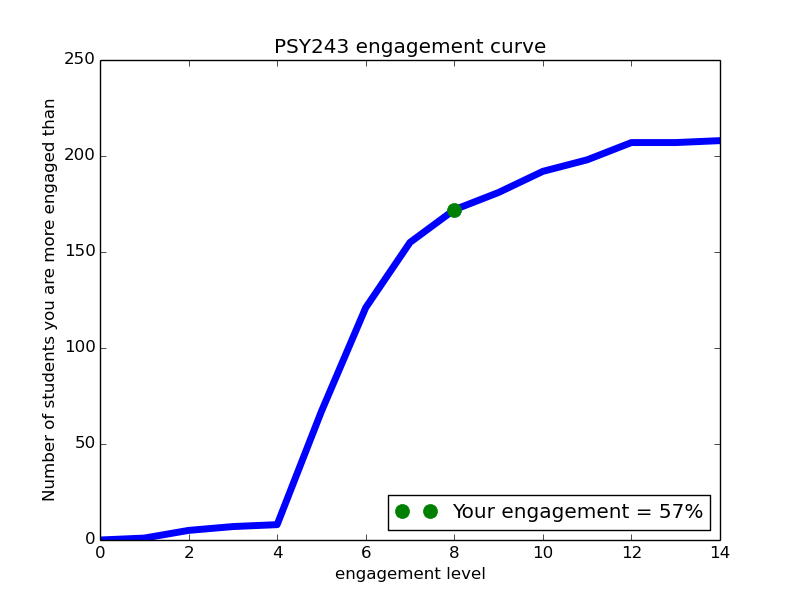 This has the effect – we argue – of removing the general effect of students’ propensity to enjoy psychology and study hard and isolate the additional effect of using the wiki on my particular course. The result, pleasingly, is that students who used the wiki more scored better on the final exam, even accounting for their general tendancy to score well on exams (as measured by grades for other courses). This means that even among people who generally do badly in exams, and did badly on my exam, those who used the wiki more did better. This is evidence that the wiki is beneficial for everyone, not just people who are good at exams and/or highly motivated to study. This is a large effect – the benefit is around 5 percentage points, easily enough to lift you from a mid 2:2 to a 2:1, or a mid 2:1 to a first. Fans of wiki research should check out this recent paper Wikipedia Classroom Experiment: bidirectional benefits ofstudents’ engagement in online production communities, which explores potential wider benefits of using wiki editing in the classroom. 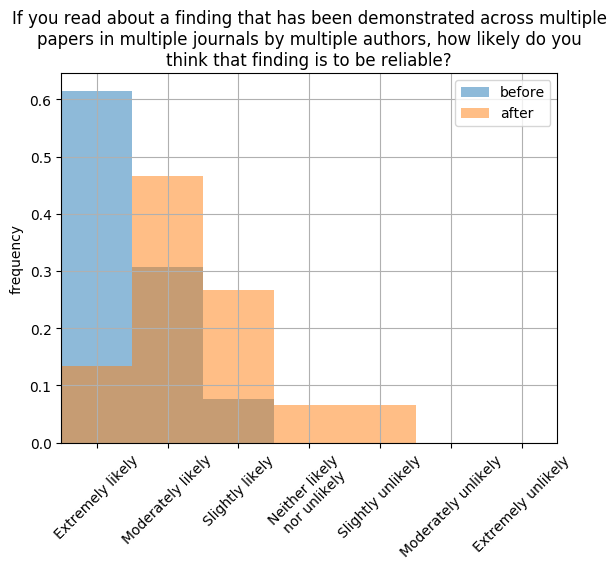 Our paper is unique for focussing on the bottom line of final course grades, and for trying to address the confound that students who work harder at psychology are likely to both get higher exam scores and use the wiki more. The true test of the benefit of the wiki would be an experimental intervention where one group of students used a wiki and another did something else. For a discussion of this, and discussion of why we believe editing a wiki is so useful for learning, you’ll have to read the paper. Thanks go to my collaborators. Harriet reviewed the literature and Herman instaled the wiki for me, and did the analysis. Together we discussed the research and wrote the paper. My undergraduate project students are in the final stages of their writing up. We’ve had a lot of meetings over the last few weeks about the correct way to analyse their data. It struck me that there was something I wish I’d emphasised more before they started analysing the data – you should visualise your data first, and only then run your statistical test. It’s all too easy to approach statistical tests as a kind of magic black box which you apply to the data and – cher-ching! 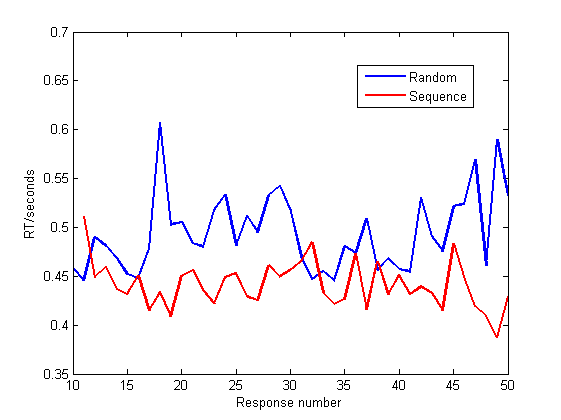 – a result comes out (hopefully p<0.05). We teach our students all about the right kinds of tests, and the technical details of reporting them (F values, p values, degrees of freedom and all that). These last few weeks it has felt to me that our focus on teaching these details can obscure the big picture – you need to understand your data before you can understand the statistical test. And understanding the data means first you want to see the shape of the distributions and the tendency for any difference between groups. This means histograms of the individual scores (how are they distributed? outliers? 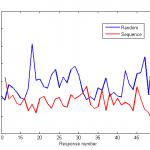 ), scatterplots of variables against each other (any correlation?) and a simple eye-balling of the means for different experimental conditions (how big is the difference? Is it in the direction you expected?). 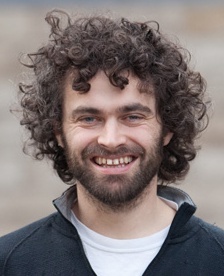 Without this preparatory stage where you get an appreciation for the form of the data, you risk running an inappropriate test, or running the appropriate test but not knowing what it means (for example, you get a significant difference between the groups, but you haven’t checked first whether it is in the direction predicted or not). These statistical tests are not a magic black box to meaning, they are props for our intuition. You look at the graph and think that Group A scored higher on average than Group B. Now your t-test tells you something about whether your intuition is reliable, or whether you have been fooling yourself through wishful thinking (all too easy to do). The technical details of running and reporting statistical tests are important, but they are not as important as making an argument about the patterns in the data. Your tests support this argument – they don’t determine it. Abelson, R. P. (1995). Statistics as principled argument. Psychology Press. Having just marked your exam scripts, I thought that many of you could improve your grades with some simple advice about the use of written English. Remember, in University everything you write will be read by someone who is trying their hardest to understand exactly what you mean, but who also cares deeply about the way ideas are expressed in writing. When you leave University what you write may or may not be read by people who care so deeply about the exact use of words, but it is also likely that they won’t be trying so hard to understand you. So for University work, and after, it is very important that you say what you mean in the clearest possible way.